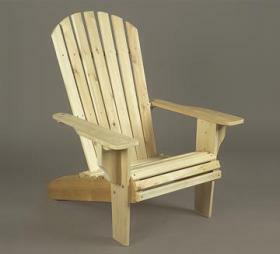 Rugged, roomy, and relaxing, this handsome oversized Adirondack is one of our most popular outdoor casual chairs. Add a beverage and crossword puzzle, and you've got yourself a destination. Solid cedar construction ensures years of carefree use. Cedar is also naturally resistant to decay, insect, and weather damage and, when left untreated, the creamy natural color weathers gracefully to a silvery grey.